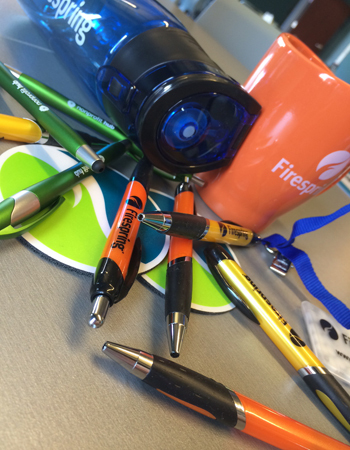 Trade show give aways are only a portion of the promotional product world. Of course we can help you with those inexpensive items for sure, but we can also help you with executive or holiday gifts with your logo such as leather brief cases or smoked turkeys for Thanksgiving or high tech item like flash drives or hundreds of other high quality items with your logo. At R & C Printing, our marketing experts will help you choose custom promotional items that suit your business. Want to try another tactic to get the word out about your next event or trade show? R & C can print event postcards to drive awareness to your customers and prospects for you.